Hong Kong, 2017-Jun-29 — /Travel PR News/ — Mandarin Oriental Hotel Group has signed a management contract for a new luxury hotel and branded residences to be developed in Melbourne, Australia. The project is expected to open in 2023, and is the Group’s first announced property in Australia. 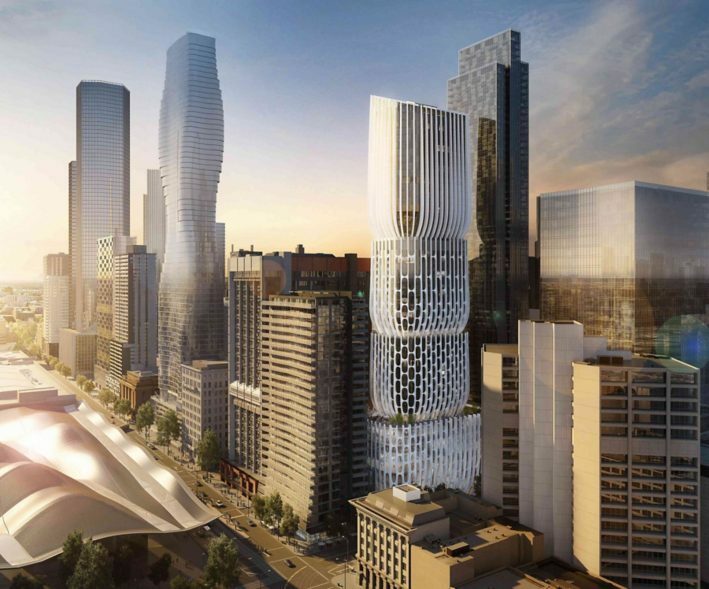 The hotel and residences will be located on Collins Street, in an iconic, mixed-use 185-metre tower which will play a part in the ongoing regeneration of the city’s Central Business District. The building’s innovative and distinctive design, created by the late award-winning architect, Dame Zaha Hadid, will become a landmark in the city. Located in the heart of Melbourne’s financial and legal district, the project is close to the Docklands and the Southbank tourist and entertainment precinct. Mandarin Oriental, Melbourne will feature 196 spacious, contemporary guestrooms and suites designed to reflect local culture, together with features inspired by Mandarin Oriental’s oriental heritage. The Group will also manage 148 Residences at Mandarin Oriental, located on the tower’s upper floors, which will provide some of the most luxurious private homes in the city. Owners will have exclusive access to the luxury hotel experience, as well as their own bespoke amenities including a private residents’ lounge. Mandarin Oriental, Melbourne will feature an all-day dining restaurant and a bar with a landscaped roof terrace. There will also be a variety of meeting spaces and an executive club lounge. A Spa at Mandarin Oriental will offer the Group’s well known wellness, relaxation and beauty facilities, while further leisure options include a comprehensive fitness centre and an indoor swimming pool. “We are proud to bring the award-winning Mandarin Oriental brand to Melbourne,” said Kevin Li Managing Director of Landream. “Mandarin Oriental, Melbourne will set a new standard for luxury service in the city and will offer a preferred choice to travellers and potential homeowners who desire the finest accommodation,” he added. Melbourne is Australia’s second most populous city, and is considered to be Australia’s cultural capital and a major centre for art, sports, music and theatre. Landream is an experienced private developer with significant Australian and overseas interests, with several projects delivered or underway in Sydney and Melbourne, including as part of a joint venture, the ultra-luxury Opera Residences in Bennelong Point Sydney. This entry was posted in Hospitality, Hotels, Travel, Travel Management, Travel Services and tagged James Riley, Kevin Li, Landream, Mandarin Oriental Hotel Group. Bookmark the permalink.